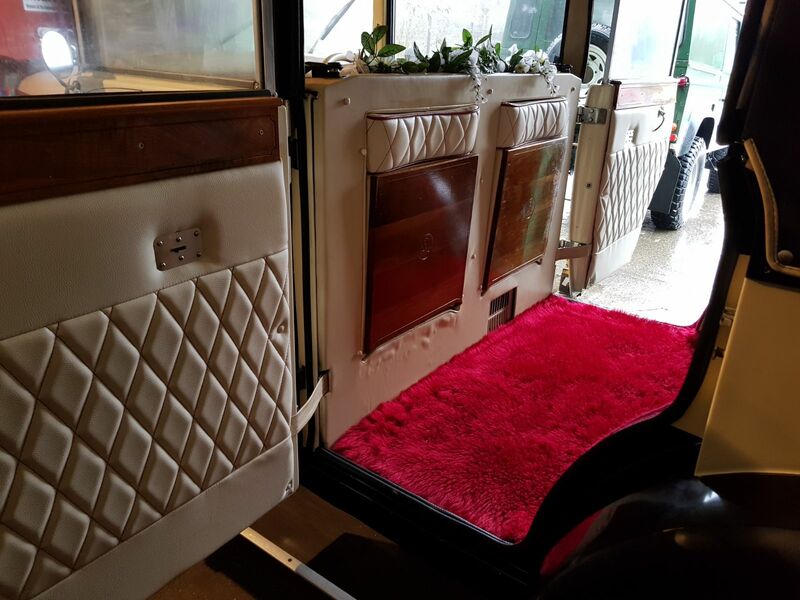 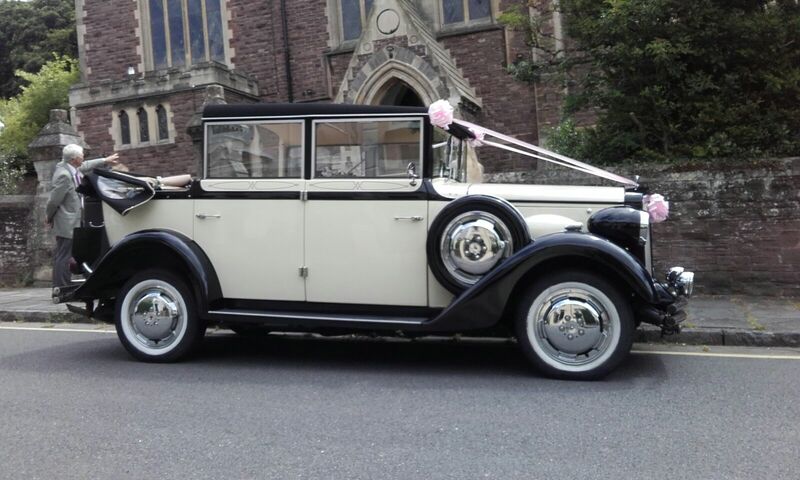 The Regent is a vintage car reminiscent of the 1920’s and has wide opening rear doors for easy access to accommodate a big wedding gown. 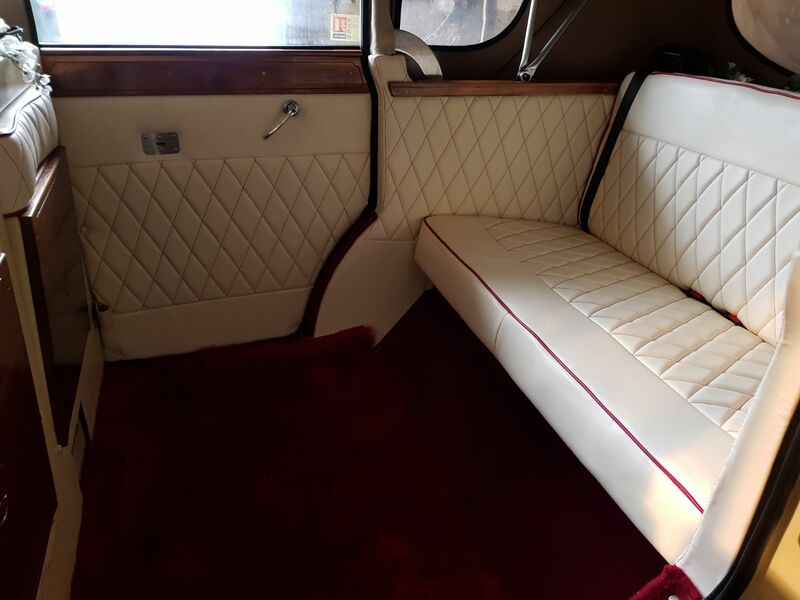 Carries up to 6 people and has a lauderlette hood. 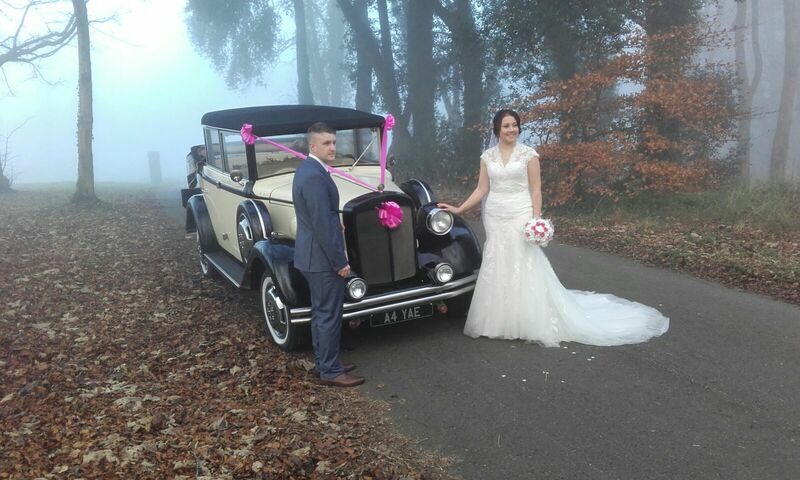 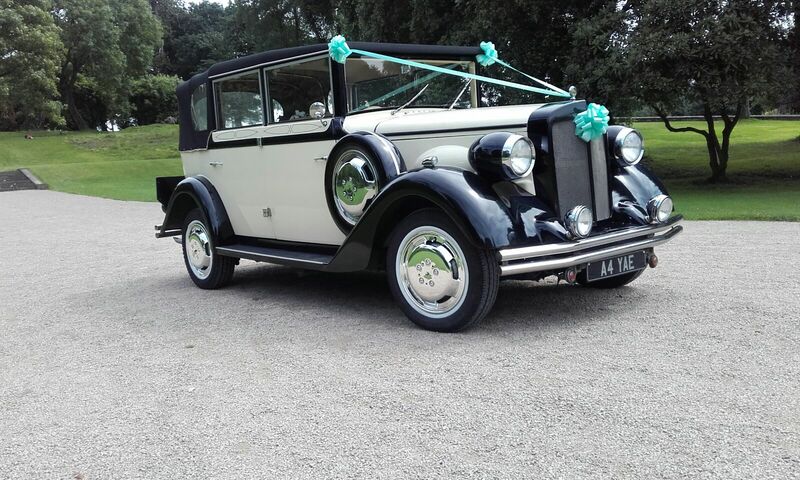 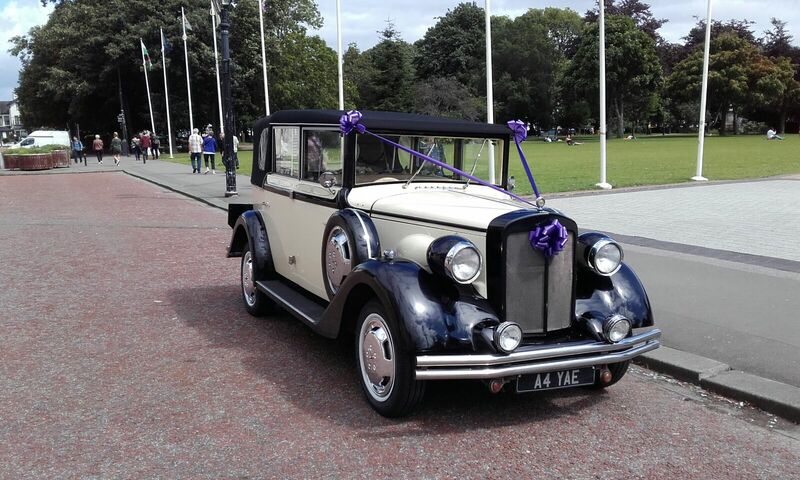 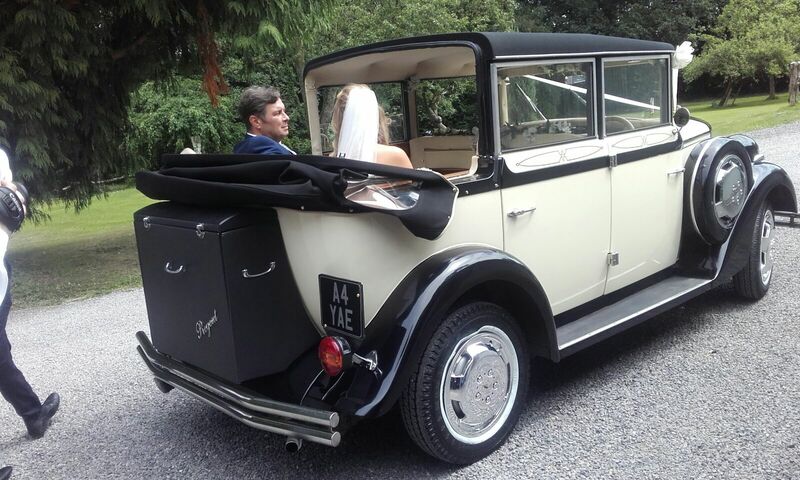 Our Fleur de Llys Clyde is a perfect match to transport your wedding party with the Regent.